Pitch Bay, Octaver/Harmonizer/Whammy from EarthQuaker Devices. 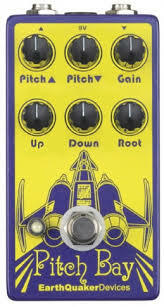 Enter Pitch Bay — EarthQuaker Devices new polyphonic harmonizer announced for the NAMM. Akron, Ohio, based EarthQuaker Devices has made a name for itself in the boutique pedal world since it started out back in 2004. The brand is coming out big for its tenth anniversary and has announced the introduction of a couple of new pedals during the Winter NAMM 2014, one of which is the Pitch Bay, a three part polyphonic harmonizer and distortion generator. 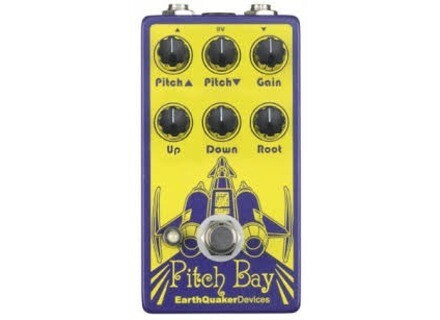 The Pitch Bay features two voices of adjustable polyphonic pitch shifting, one above the root and one below, each of which can be adjusted by stepped semitones (1 to 12 semitones). Plus, all three voices (Pitch up, Pitch down and Root) can be blended, cut or boosted independently. Hand made one at a time in Akron, Ohio, USA. Juan Alderete (Racer X, The Mars Volta, Zavalaz) and Nick Reinhart (Tera Melos) will be doing live demos at EarthQuaker Devices' NAMM booth (#2284, Hall D). [NAMM] Randall announces a 6-channel monster 667, this is the name of the new 6-channel amp head that Randall will release in the Winter NAMM Show 2014 halls, watch out!